Tampa Bay is one of the most bio-diverse areas in Florida, home to more than 200 species of birds, fish, and marine life. 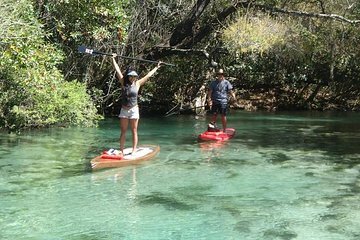 On this tour, explore the scenic waterways and mangrove forests on a fun and eco-friendly stand-up paddle board excursion. Enjoy incredible views as you float downstream; look out for roseate spoonbills, ospreys, otters, and even bottle nosed dolphins and manatees; and stop along the way to take photos and soak up the scenery.